Beat the competition with insights on Cloud Applications, EBS, CPQ, and more! 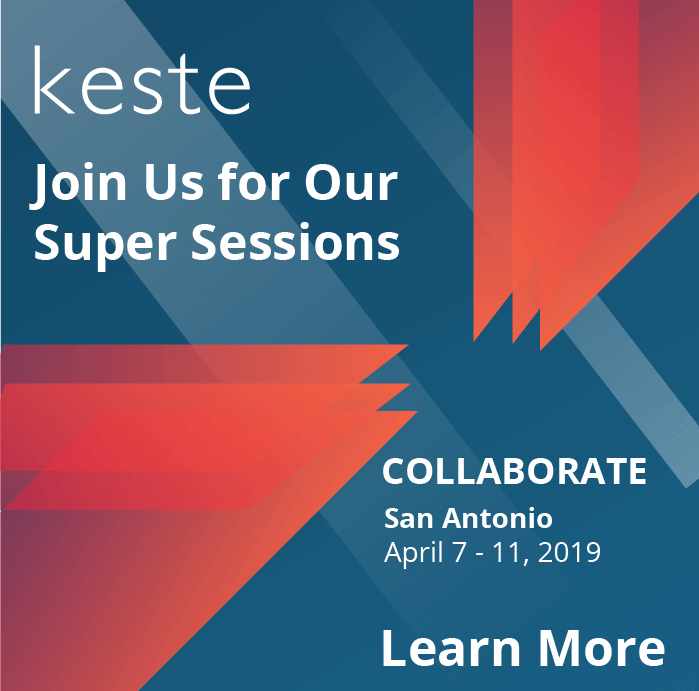 Connect with Keste at Collaborate 2018 in Las Vegas from April 22-26. We will be at Booth 1324 at the Mandalay Bay Resort and Casino sharing insights on Cloud Clarity, AP Automation, CPQ Cloud, the Customer Journey, and much much more. Check out our OAUG sessions below. Created by and for users, Oracle Application User Group (OAUG) hosts Collaborate to offer education for all, whether your organization seeks to maximize its on-premises solutions, evaluate a path to the cloud, or optimize your business in the cloud. Users and IT decision makers huddle up to find practical solutions for today and create game-changing strategies for tomorrow. Keste is right there with OAUG, empowering Oracle application users to gain greater value from their investments and get ahead of the competition. See below and join us for one of our networking events, attend one of our sessions, or set up a one on one coaching session. Join us for a Digital Transformation Roundtable, where we will discuss the customer journey and the steps you can take to digitally transform your business. Don’t miss the opportunity to hear from last year’s OAUG President, Alyssa Johnson, as she shares important insights before food, drinks, golf, and a chance to meet and mingle. Check out our MVP sessions below and add them to your schedule today! Plan out time for expert insights on Cloud Applications, EBS, CPQ, and more by a quick click on the + in the top right corner. Be sure to stay for some great Q&A as well! Get alerted about more of our All-Star events, including a networking happy hour, or requesting a one on one meeting with Keste to receive your customized playbook for your journey to the cloud. With in-depth experience in a variety of industries, the Keste team will meet with you to discuss your current IT landscape. Contact us today to learn more. Keste transforms your business through robust digital strategies. Keste partners with companies to serve as their trusted advisor and accelerate their path to the cloud. Learn how Keste has worked with corporations to create digital experiences driving growth and providing a 360-degree view of the customer and partner journeys. Stop by our kiosk to discuss your own digital strategy. Keste is an Oracle Cloud Excellence Implementer (CEI) and the 2017 Cloud Innovation Specialized Partner of the Year. 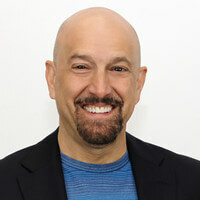 From Green Screens and Legacy Platforms to Innovative User Experience. Taking the First Steps to Modernizing Your Infrastructure.